Daily, the monks at Pullahari Monastery (Nepal) and Kagyu Thekchen Ling Monastery (India) share the merits of their pujas and prayers with benefactors and all sentient beings. The daily pujas and prayers are open for sponsorships. The offerings received support the welfare and education of the sangha and the maintenance of the monasteries and temples. Pujas and prayers benefit beings in temporal and ultimate ways. They avert and clear obstacles to good health, longevity, success, happiness, contentment, peace and harmony, and also those that affect progress in spiritual realisation. Pujas and prayers dedicated to the dying pacify their minds and those offered to the deceased help guide the consciousness through its journey to rebirth. 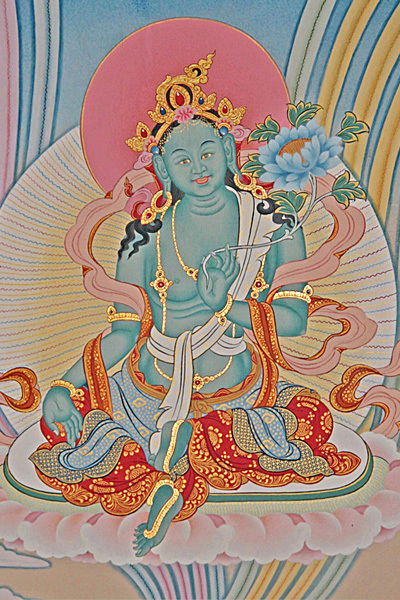 GREEN TARA (Drolma) is the all-victorious Saviouress. 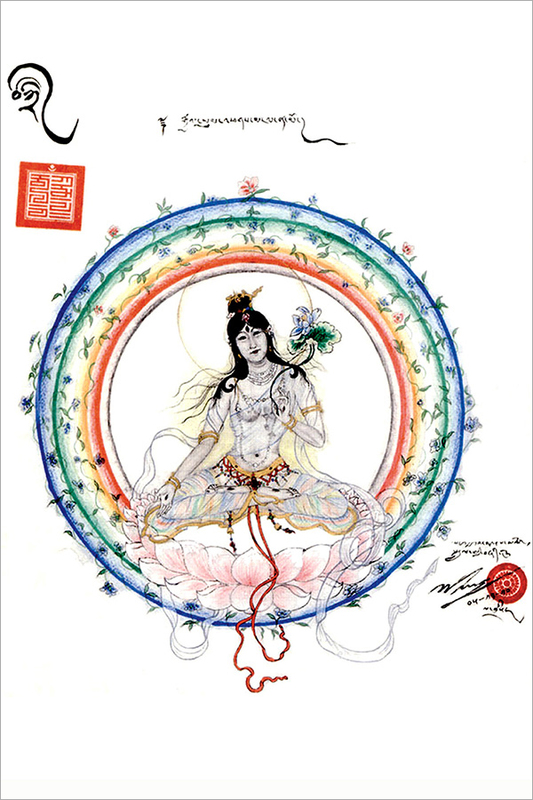 She manifests 21 emanations to benefit beings. 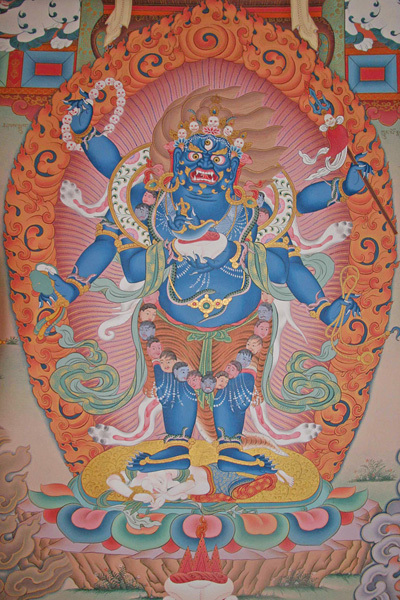 Swift and efficacious in blessings, Tara vanquishes obstacles and fears and protects those in danger and difficulty. She tames obstacles that prevent good health, harmony, success, happiness, well-being, peace, penetrative insight, and the attainment of supreme realisation. WHITE TARA (Drolkar), the Wish-Fulfilling Wheel, is symbolised by the wheel of mantras within her heart and seven wisdom eyes. As such, she is vigilant in compassion, looking upon beings in all realms of existence impartially with clear wisdom, loving-kindness and compassion and fulfils all wishes without limitation. She is especially effective in accomplishing good health, long life and wisdom. 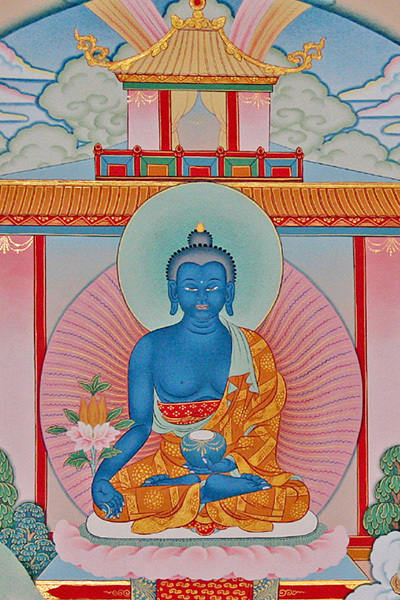 MEDICINE BUDDHA, the Buddha of Healing, benefits the sick, the dying, as well as the deceased. Blessing from the practice and mantra recitations avert and dispel obstacles resulting in sickness, disease, and those due to negative karmic conditions. The dying and the deceased are protected from lower rebirths. Those born into lower states due to negative karma are swiftly liberated and guided to fortunate rebirths. THE MAHAKALAS are the wrathful aspect of Avalokiteshvara. They accomplish the activity of cutting through obstacles that harm the Buddha's doctrine and sentient beings. Taming negativities and pacifying suffering, they rain down blessings, fulfilling virtuous wishes limitlessly. 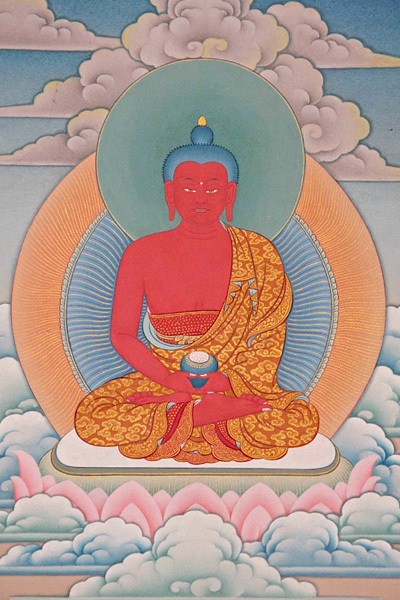 AMITABHA MONLAM or The Wishing Prayer for Rebirth in Dewachen is dedicated to the living as well as the deceased to arouse faith in Buddha Amitabha in their mind stream and the yearning to take rebirth in Dewachen (Sukhavati), the Western Pure Realm of Buddha Amitabha. Through the wisdom of Amitabha, the Buddha of Infinite Light, even ordinary beings will take spontaneous rebirth in Dewachen through their faith and yearning. Recitation of "The Litany of Names of Manjushri" by Lord Buddha Shakyamuni establishes auspicious conditions now and enlightenment in the future. Wisdom, loving-kindness and compassion arise swiftly. The power of memory and right view increase. Excellent samadhi and omniscient liberation will be quickly attained. Such is the power of merit of this recitation. 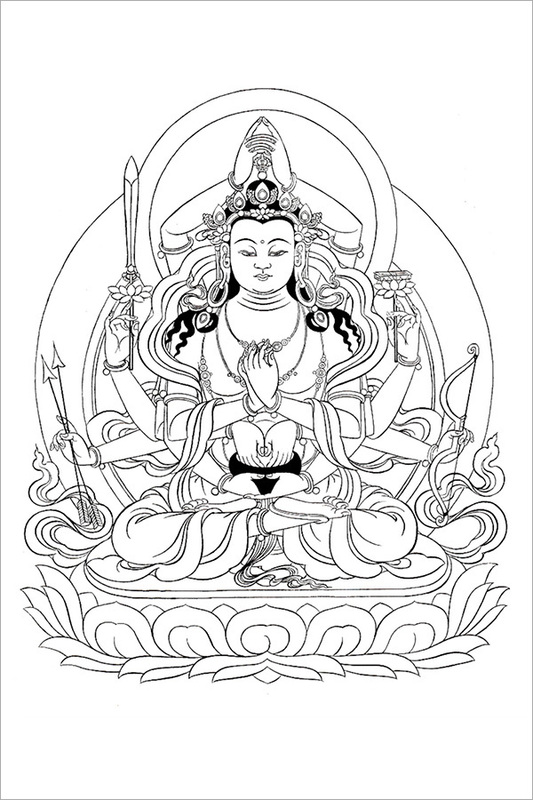 In gratitude for your sponsorship of the daily pujas and prayers, daily the monks also share with sponsors and their dedicatees merits from their prayers of Guru Rinpoche's Bar Che Lam Sal and Sam Pa Lhun Drub to dispel obstacles and fulfil wishes, the ritual of Riwo Sang Chod to repay karmic debts and remove obstacles to temporal and ultimate aspirations, and the Amitayus Long Life Prayer.